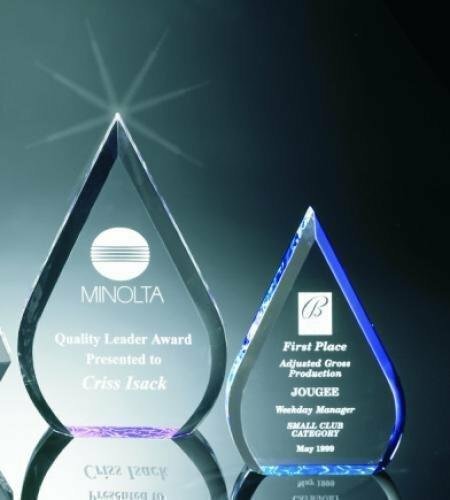 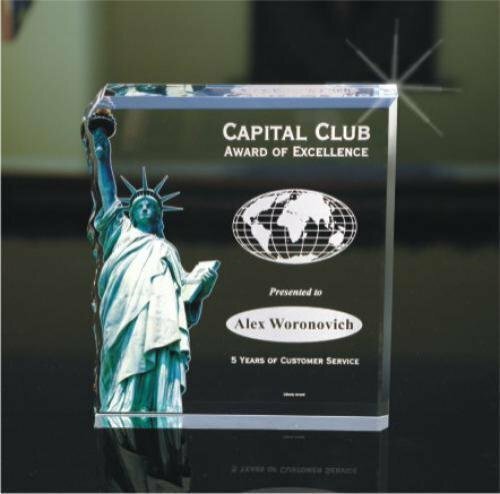 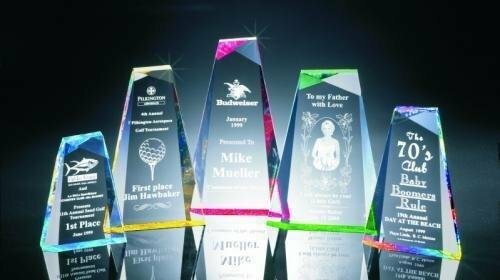 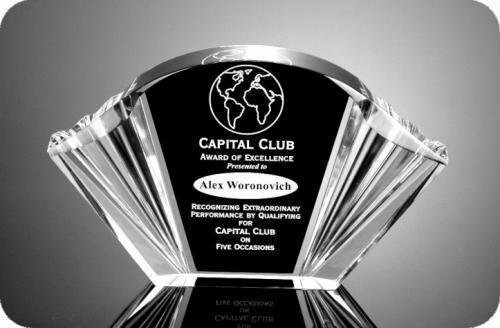 Our Beveled Peaks acrylic awards feature a diamond inspired faceted cut which makes these awards extremely elegant and prestigious. 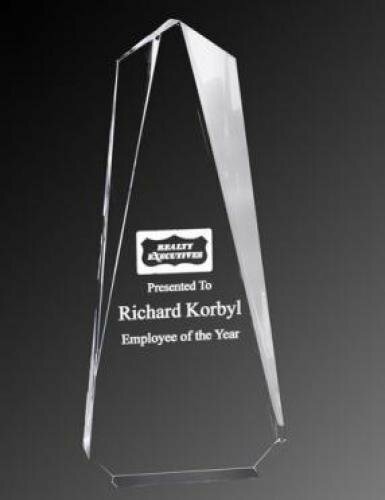 This free standing award is available in two sizes and your choice of blue, red, green, gold or purple reflective bottoms. 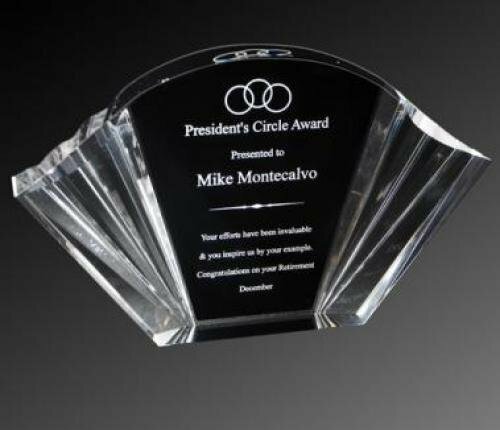 The Eagle Oval acrylic award is a beautifully designed acrylic piece. 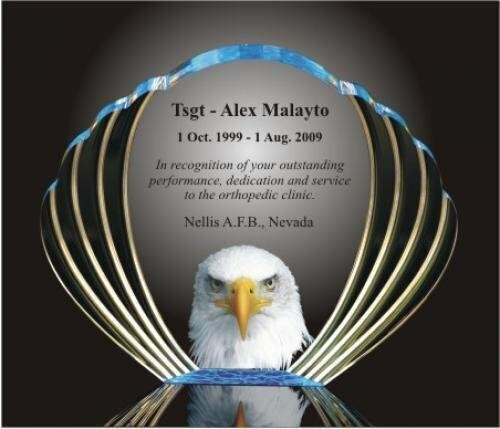 It features a shell-like shape and bull-nosed steps on both sides resembling an eagle's wings! 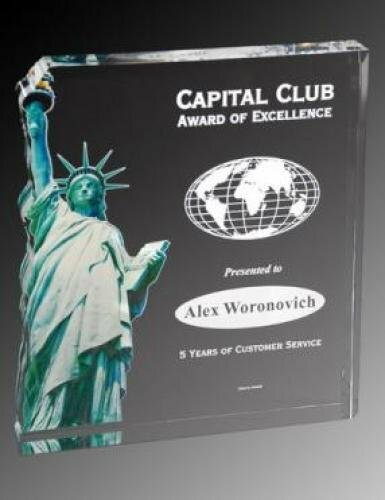 For an additional cost, we can even color imprint an eagle's head on the back surface to give it a truly unique look! 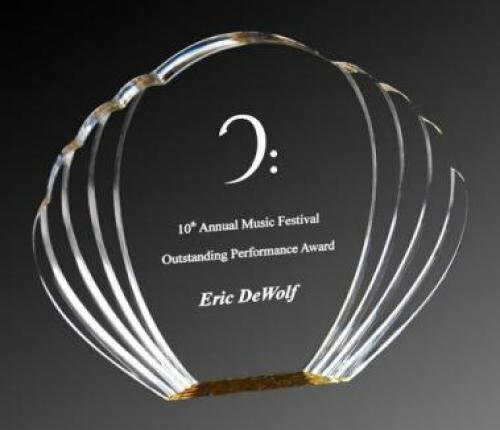 Eagle head or not, this piece is undoubtedly an accolade that everyone will enjoy! 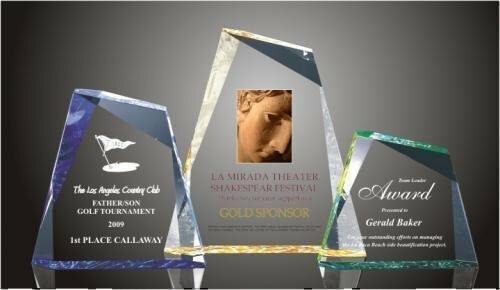 Available in your choice of blue, red, green, gold or purple reflective bottom. 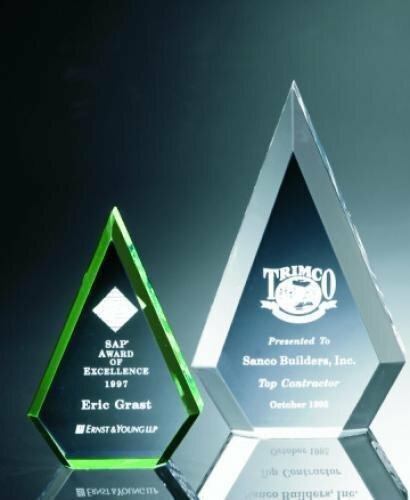 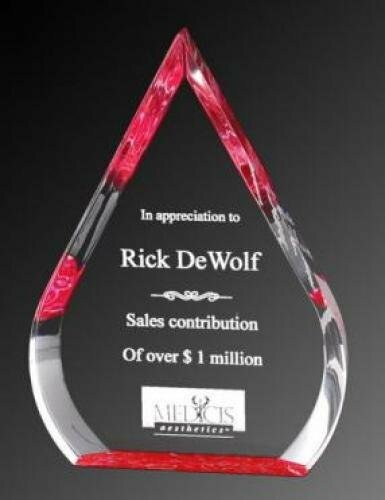 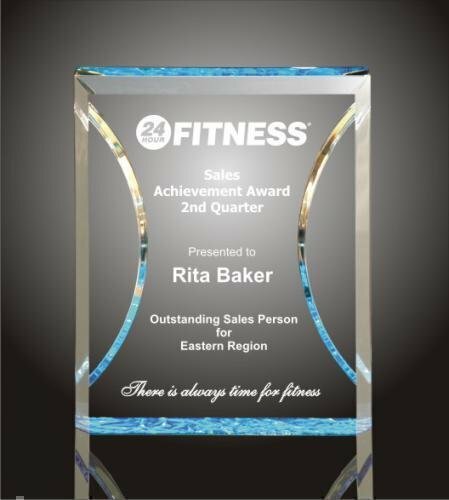 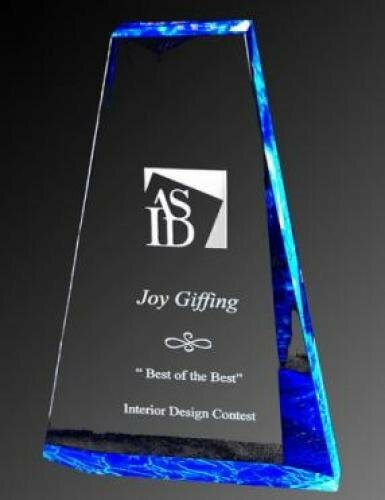 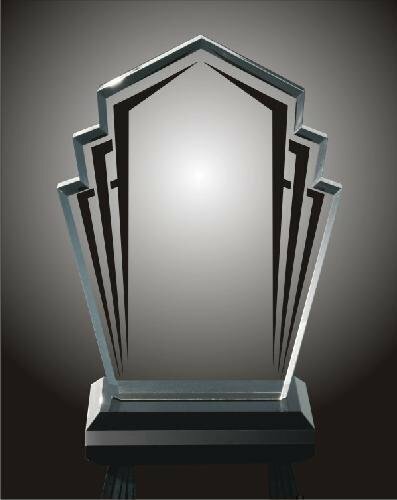 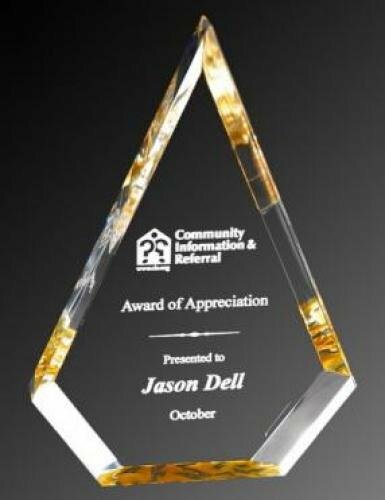 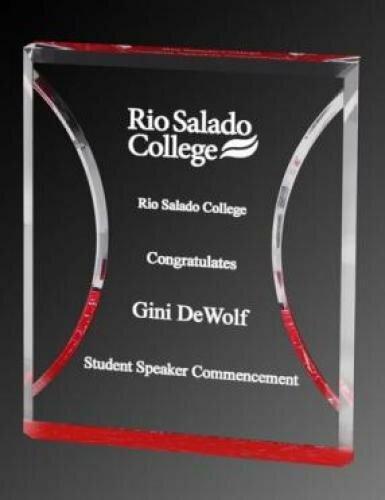 This acrylic award features a unique faceted design that is perfect as an award or commemorative gift. 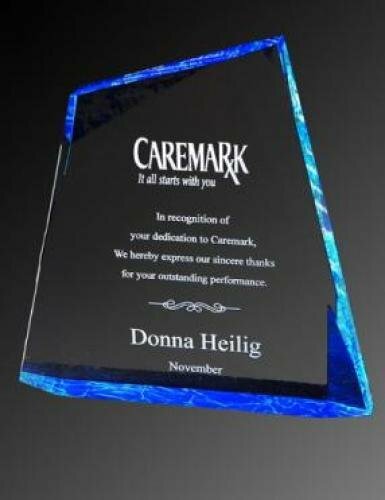 Available in your choice of blue, red, green, gold or purple reflective bottom. 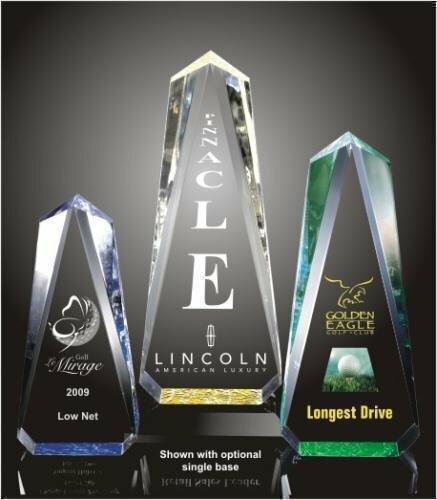 Available in five sizes!